In my spare time I like to create things combining electronics, embedded computers and regular computers. With time I developed some projects that are published on the following categories. The Electronics section has projects ranging from basic circuits to embedded devices using Pic microcontrollers, audio circuits and ideas for developing device drivers on Pic microcontrollers. 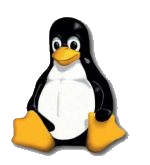 The Linux section presents several utilities written in shell script (bash and ksh compatible), others written in C++/Qt for Linux and HP-UX and configuration tips. The Ham Radio section contains few projects I developed a few years ago. The Websites section contains references to websites I helped to create. My job was to install, develop specific/integrated applications and perform maintenance tasks such as periodic backups and apply security updates.